If you think about it, mason jars are a simple little item. However, they have taken the world by storm! Farmhouse and country styles are incorporating them into all things decorating in fun inviting ways. 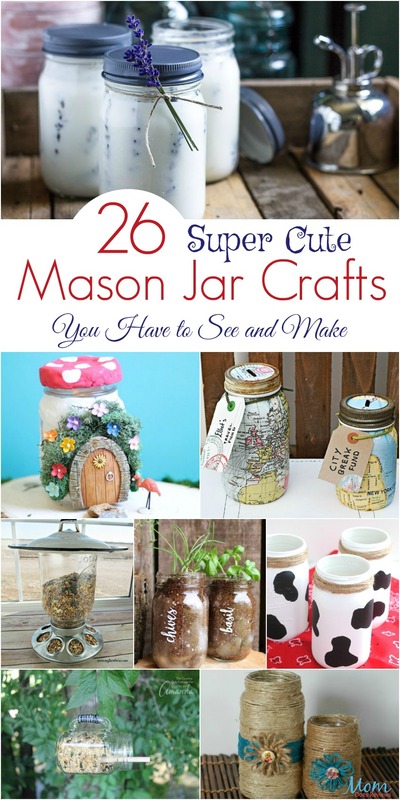 If you have a few old jars laying around and love to craft, you will love these Super Cute Mason Jar Crafts we have for you today! Cute, fun, and easy – just the way we like them! In no time at all Fall will be here with its cool, crisp air. Right on its heels will come that spooktacular Halloween holiday. In keeping with the occasion, we have a fun DIY Halloween Stained Glass Mason Jar craft sure to delight all the goblins! 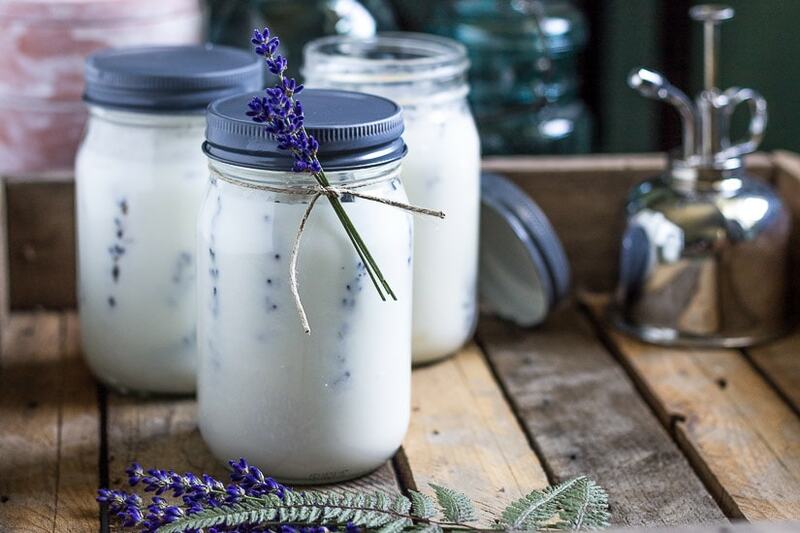 If you are a lover of essential oils, you are going to love these Pressed Flower Mason Jar Candles from Hearth & Vine! Not only are they beautiful but they double as an insect repellent with essential oils of lemon eucalyptus and lavender. Take a look and learn how to make them! I am a little obsessed with bird feeders. I love feeding the birds and have several feeders of my own. 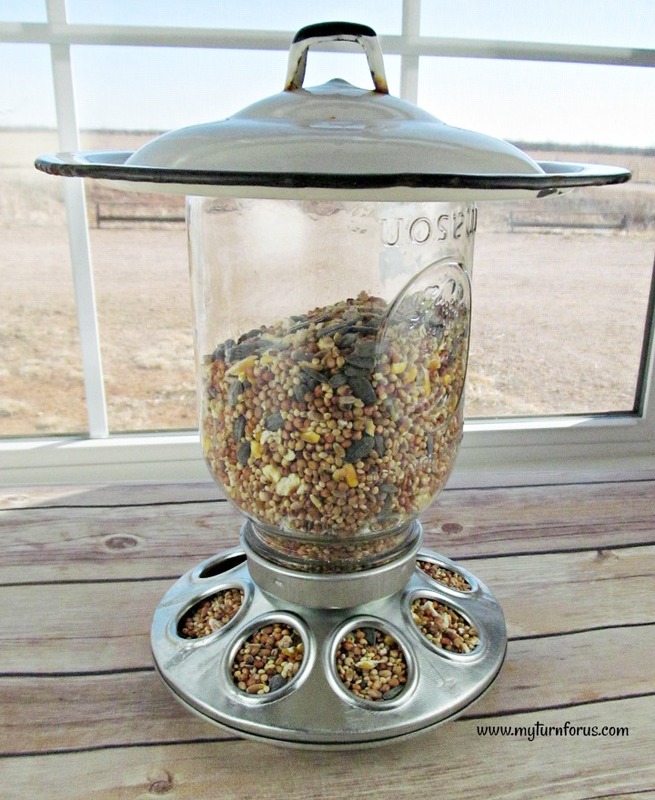 When I saw these easy and unique Mason Jar Bird Feeder from My Turn For Us I fell in love! Not only is the feeder adorable, it is long-lasting and durable! Winter is coming and the birdies will be hunting food. Don’t leave your feathered friends hungry! 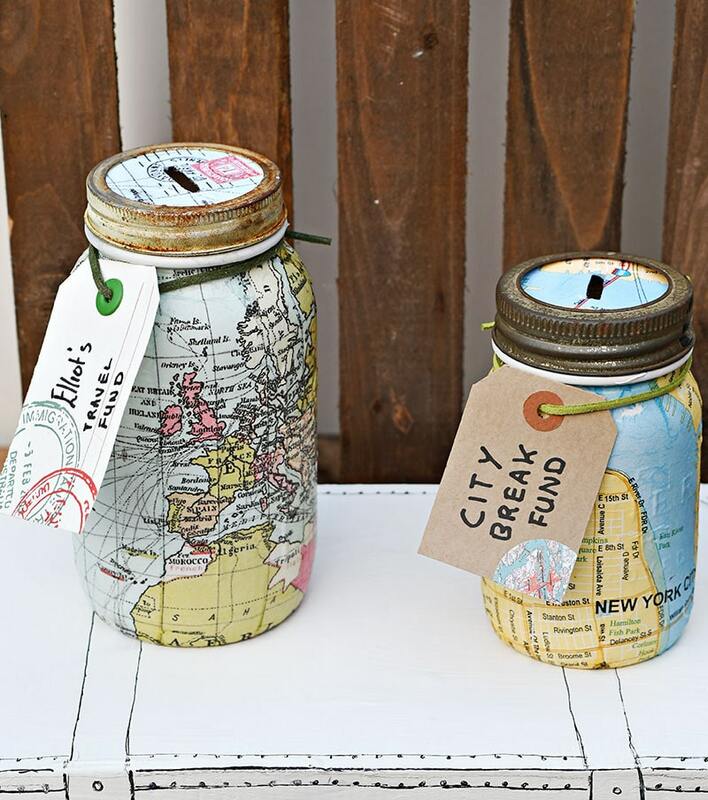 For those that have the travel bug, these fun Travel Themed Mason Jar Banks from Pillar Box Blue are simply adorable! It is an affordable craft that would make a fantastic gift for anyone with wanderlust. They only take about an hour to make and a great way to start saving for a fantastic road trip! 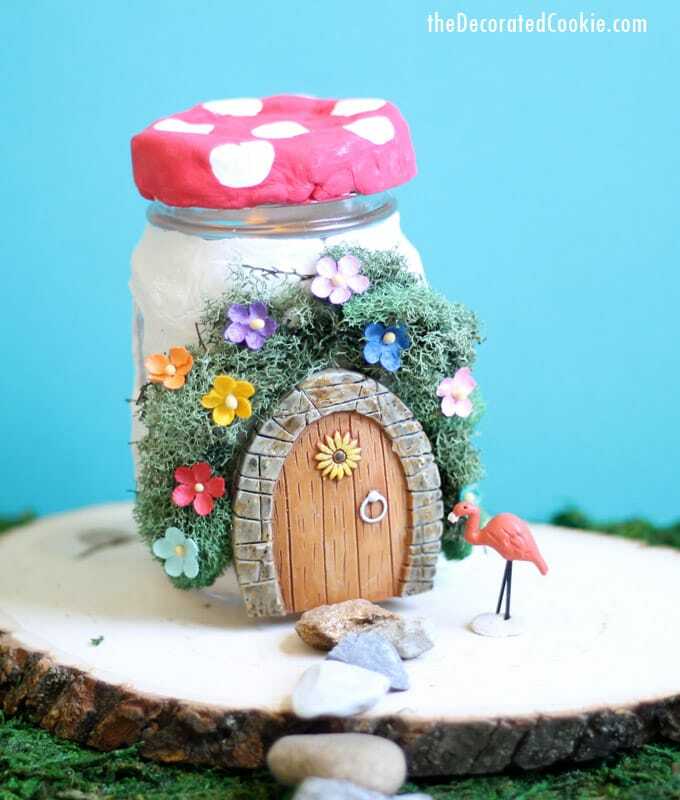 Adorable Mason Jar Crafts You Have to Make Today!